Marathon training is hard. Boston is going to be my 5th marathon and the training does not get easier with each one. I think as I get older it gets harder. I have had my aches and pains during this training cycle, but try not to dwell on them. 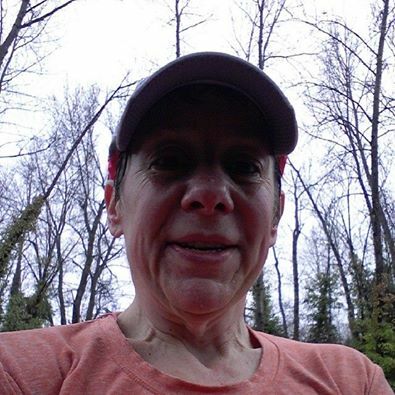 On Sunday I had my first of two twenty milers and I woke up to pouring rain. While drinking my coffee I look at the radar to see a swath of green covering the whole map. Right then I deceided this was a good mental test. I packed 2 extra shirts, put my ipod in a plastic bag and headed to the Cedar River Trail. 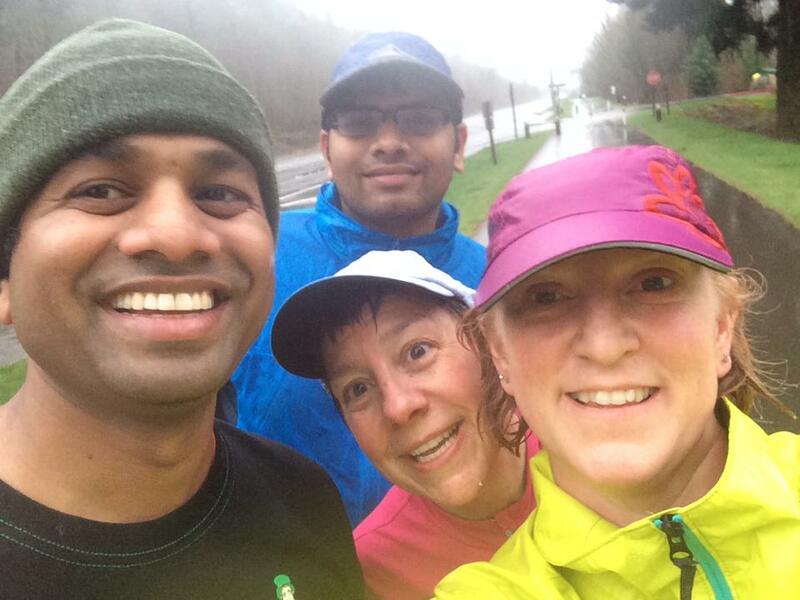 I did the first 6 miles solo, before meeting Amy, Suresh and Gani. I ran the next 5.5 with them. It was nice to have the company for some of the miles. I was very wet. It never stopped raining. I changed my shirt once, but wish I had brought another pair of gloves. But all things considered I had a 10:33 average pace, which is great for me. I know mentally this run put me in a good place. Boston in 5 weeks! What is the worst weather you have had on a long run? 4 Responses to 21 miles! Way to go! That is some serious hard work and dedication! I’d have to say my worst weather in the last couple years was pouring rain at the first Snohomish River Run 10K the last weekend of October, 2012 (October seems like the worst weather month in the northwest, to me at least). But I will admit I’m a totally chicken and in the cold, wet months I quickly pick the treadmill over the outdoors. I’m glad we’ve had a fairly mild winter this year! Good for you! I think I’ve had some cold long runs but not cold AND rainy! Yuck! Would you be interested in joining our Boston Bound Blogger group? Can email me at kellikerk@gmail.com if you are and can get set up. I ran a 5k in a snowstorm… It wasn’t too bad during the race, I was so focused that I didn’t realize how cold and wet I was until I finished.